Unfortunately, most Americans chose to throw away their pensions when they ditched their unions. No unions, no pensions. No pensions, no retirement. Unfortunately, there’s much less money to be found in real-world retirement than there is in the “Happily ever after” fairy tales. If you have bills and you aren’t rich, it’s not easy to save up a few hundred thousand bucks. Here’s the sad truth. 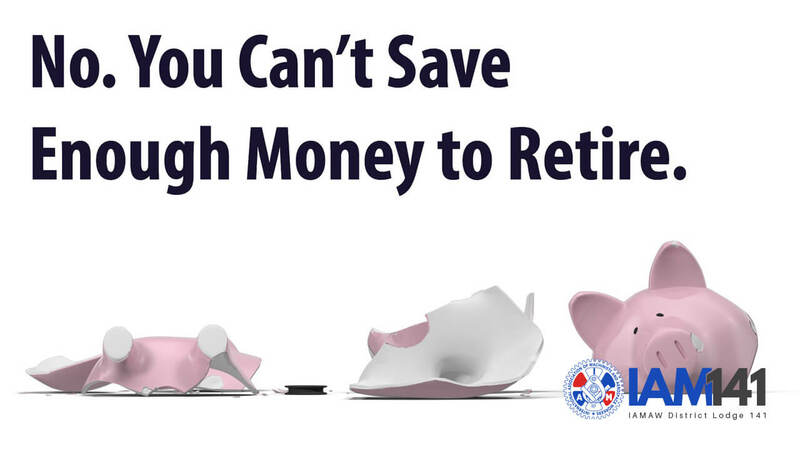 You can’t save enough to retire. Like most Americans, you will probably make less than $40 an hour for most of your career. If you stay stuck in the lower end of the middle class throughout the bulk of your working years, you will need to have used the bigger part of your wages on everyday bills. If you had a few extra million dollars floating around, you probably would have found something more urgent for that money to do than sit in a retirement account. And, yes. You need to be a millionaire to retire. Yes, you do. If you don’t have at least one million dollars in total assets, you will not have enough money to maintain your current standard of living and still be able to cover the expensive health issues that come with getting older. There’s just no way around it. Saving for retirement is a great idea, but it’s not a retirement plan. It’s also not a defined pension. If you don’t have a pension, you are going to work until you die. And if you don’t have a union, chances are that you aren’t going to have a pension. Most Americans think that they can live off a few bucks a month once they retire. The majority of Americans have completely unrealistic expectations when it comes to how much money they will need after they retire. 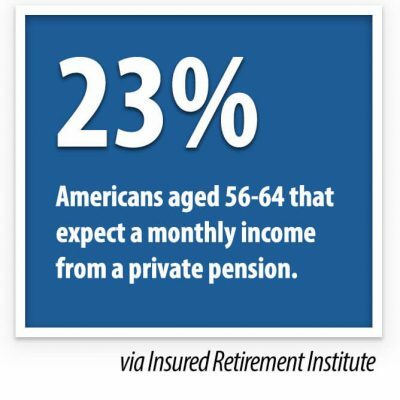 According to research by the Insured Retirement Institute, most retirees spend about $55k each year. Which is weird, because almost nobody believes they will need anything close to that much cash. 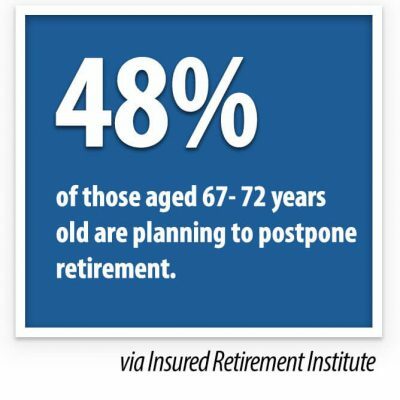 According to the study, 70% of Americans think they will need less than $55k once they retire. And, they’re acting like it. Too many Baby Boomers don’t think money is a thing once they retire. Relatively few Baby Boomers are union members. And for the most part, they like it that way. That’s why, when most people born between 1946 and 1964 were given a chance to save a few bucks a month in union dues – they took it. But, throwing out the ability to negotiate for things like pensions means… no pensions. Not having a guaranteed, regular income through a Defined Benefit Pension means living in a perpetual state of financial crisis for the rest of your life. Statistically speaking, only union members have pensions now. Everyone else blew it. It’s worth remembering the next time an angry Facebook uncle smugly gloats about how he doesn’t pay union dues. He will probably also work forever. Only 38% of those nearing retirement in 2019 have any real pension to speak of. Defined Benefit Pensions, the kind that only unions can reliably negotiate, are even less common. That means that the vast majority of Americans will be relying on 401(k) tax dodges and personal savings when they stop working. 45% of people over the age of 40 have nothing saved for retirement at all. Zero. Social Security averages about $14,000 a year. And, Medicare doesn’t cover long-term illnesses. In the year 2019 and beyond, you won’t be able to live on $14,000 a year. And, one serious illness can cost hundreds of thousands of dollars to treat. Two statistics from the study are particularly alarming: half of the respondents said that they haven’t even factored in the costs of long-term care, and only 8% reported that they had purchased a long-term care insurance policy. This means that health care costs will devour the retirement savings of virtually all non-union retirees in America over the next decade. 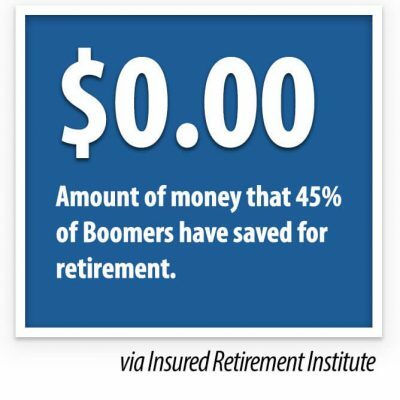 Savings, which again, are zero for almost half of Boomers currently working. Union members are okay. Plans like the IAM National Pension Fund and union-negotiated supplemental insurance policies are commonplace for union members. These plans can get your total available net worth up over the one million dollar threshold fairly easily. It’s one thing to have to survive off of Social Security; It’s another to have that same Social Security check, plus hundreds of thousands of dollars worth of health care coverage and a few thousand dollars a month coming in for the rest of your life (thanks to a union-negotiated pension). But, for the majority of Americans that work their entire careers without a union, things are not ok. For those people, retirement is quickly becoming a part of the American dream that is due for a rude awakening. Happy National Retirement Planning Week!